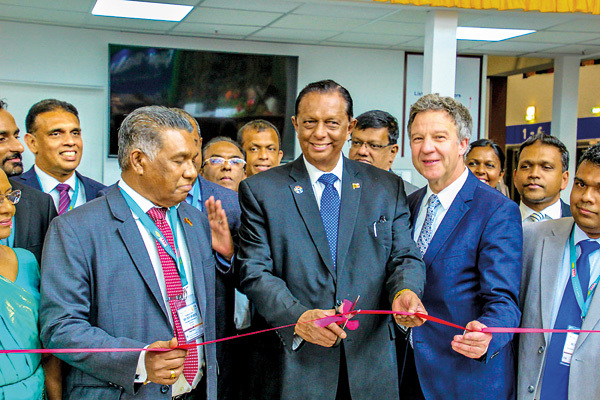 Tourism Minister John Amaratunga and officials at the ITB Berlin fair. So Sri Lanka gathered momentum at the ITB travel fair on Wednesday in Germany when it kicked off with the campaign set to showcase a film capturing the wildlife of the island while authorities are still awaiting approvals for the global promotion campaign. The three- minute film was set to highlight the wild side of Sri Lanka from a sea-turtle’s journey to the sea to the soaring eagle and then watching the largest elephants travel in theirhome in the sprawling Udawalawe National Park, Sri Lanka Tourism Promotion Bureau Chairman Kishu Gomes said (earlier this week) prior to heading for the travel fair in Berlin, Germany. The film was commissioned by the SLTPB to bring to life the new branding of So Sri Lanka that encapsulates that the country is more than just a destination. Mr. Gomes explained that the Terms of Reference (TOR) for the marketing and communication campaign or the global promotional campaign would be submitted within the next 10 days to cabinet for approval once Minister John Amaratunga returns from this participation at the German travel fair. Once cabinet approval is obtained the tendering process could commence to select an agency that would also involve a number of days in line with government policy. In this respect, Mr. Gomes noted that by end April they should be able to select a partner and that by end May the campaign could be up and running.